An opportunity for you to learn basic navigation. 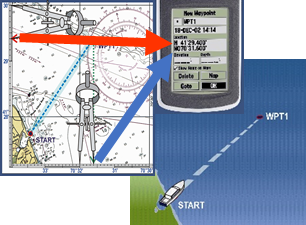 A two session seminar that covers chart usage, planning a safe course, measuring latitude/longitude, measuring distance and course, dead reckoning navigation, and electronic navigation techniques, with hands-on practice. Learn from local boaters who have successfully circumnavigated the globe. An informal atmosphere, students will participate in open discussions with numerous references to Channel Island details. First session is Tuesday, April 23 and the second is Tuesday, April 30. Each session runs from 7 to 9pm. Program is at the Waterfront Classroom, 120 Harbor Way.